Dharima has been drawn by lots of artists. When you draw the traditional images, such as geisya, samurai or Buddha, it is key point how to draw the neck line. 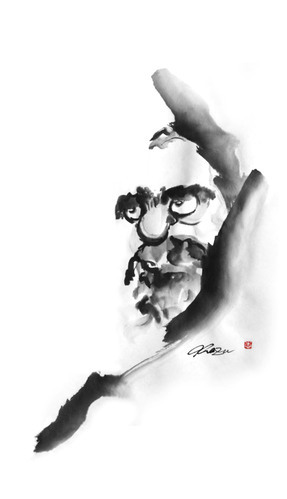 I build up the neck line of this dharma image inspired by Sesshu and Hakuin.